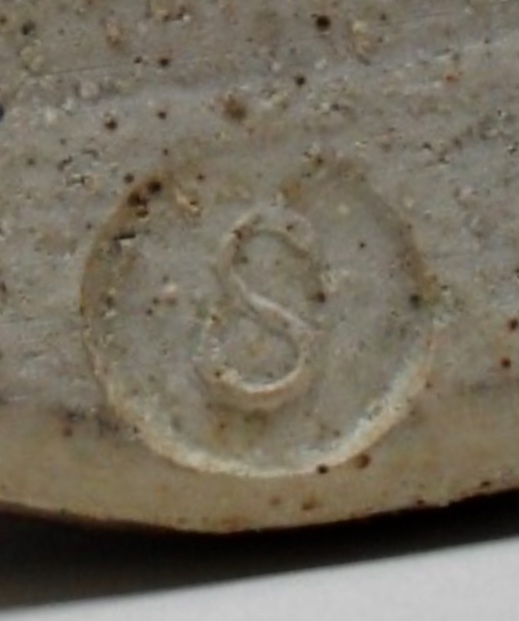 The mark looks like that used by Jack Kenny, a pupil of Geoffrey Whiting, at his Seasalter Pottery. 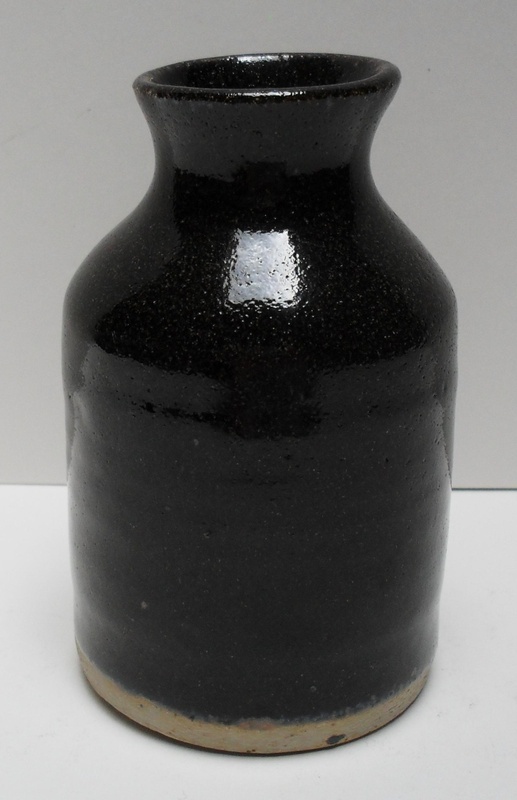 The glaze looks OK too but the clay is lighter than the pieces of his work that I have. Jack seems to have disappeared or I would ask him if it was his. Might be Paul Sullivan. 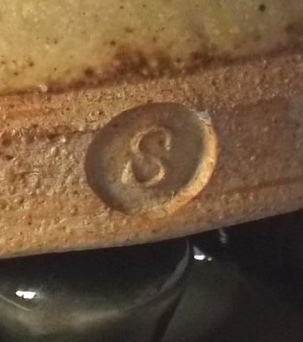 I've come across a miniature vase with an S and dot stamp, that was Id-ed as such - google PAUL SULLIVAN MINIATURE STUDIO POTTERY VASE to see it. 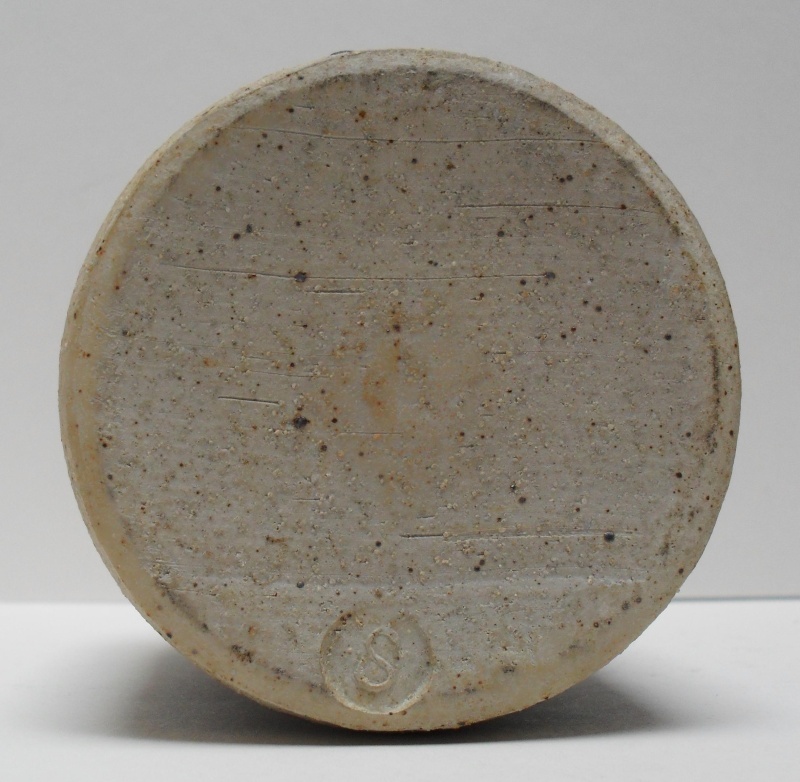 The colour of the stoneware used for the Paul Sullivan vase that Naomi has pointed out looks a similar colour to your vase but yours isn't cut from the wheel in the same way and the mark on yours doesn't match any of his marks. Does the S of the impressed mark have a dot either side? The S of the impressed mark does not have a dot either side? Then it's not Jack Kenny's mark either so we are back to square one. Not convinced. The Stalham mark has a very bold serif on the lower part of the letter.